Panta Rhei VI: Time (2011). Light box photograph of the performance. VestAndPage, Panta Rhei VI: Time (2011). 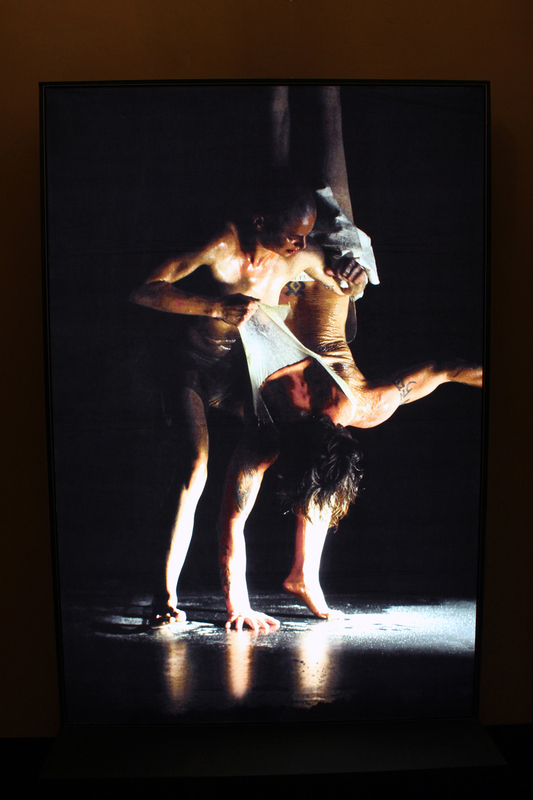 Light box photograph of the performance. Courtesy of the artists and We Exhibit. German artist Verena Stenke and Venetian artist and writer Andrea Pagnes have been working together since 2006, generating art in the mediums of live performance, filmmaking and writing, and as independent curators. Their practice is contextual, process-led, situation-responsive and conceived psycho-geographically in response to social contexts, natural surroundings, historical sites or architecture. In a "Poetics of Relations" they examine notions of fragility, vulnerability and failure of the individual and the collective within different social or environmental spheres. Exploring what, as human beings, we still have to offer, VestAndPage question our existence within a humanity characterised by social exclusion and global atrocities. Demanding themselves to inspire others and animated by a nomadic, confrontational spirit, they apply the themes of acceptance, resistance, endurance and union with a poetic bodily approach to art practice. Between 2010-2012, VestAndPage produced the experimental art film trilogy sin∞fin, a complex visual research realised during three years in Antarctica, South America and Asia, examining the relationship between the ephemeral art form of performance with filmmaking. The VENICE INTERNATIONAL PERFORMANCE ART WEEK 2016 exhibits the light-box photograph of the performance Panta Rhei VI: Time, held at Seoul Art Space (2011), image by HeiJi Park. With the performance cycle Panta Rhei, VestAndPage inquired into impermanent states and the concepts of change and transformation, referring not only to the transitory states of matter, life and relations, but also to the temporary nature of thoughts, convictions, systems and presumed orders. The question is whether there is something indefinite to cling to, something undying to rely on, when all is alteres within the course of continuous evolution. The performance cycel in seven parts has been developed and presented on VestAndPage's Asia tour in 2011/12, with stations in Singapore (Body), Thailand (Thoughts, Convictions, Relations), Taipei (Matter), Seoul (Time) and Hong Kong (Systems).